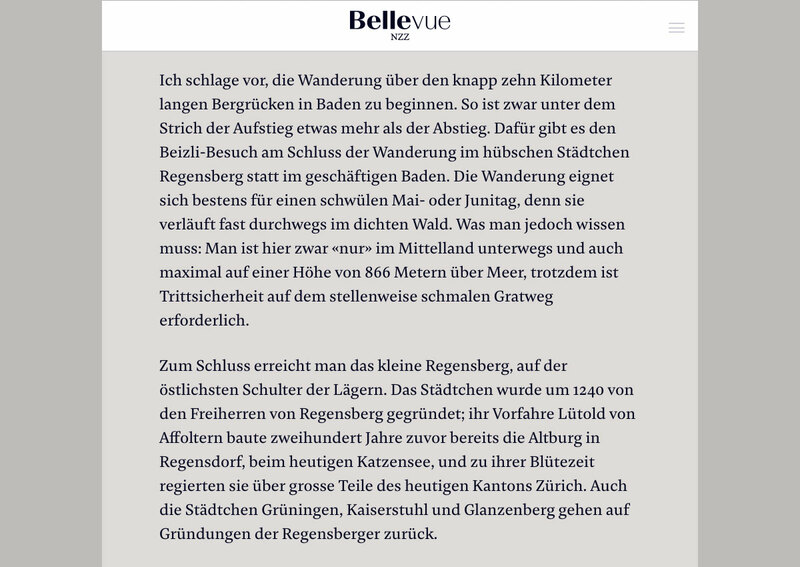 Damien Text in use by NZZ Bellevue. 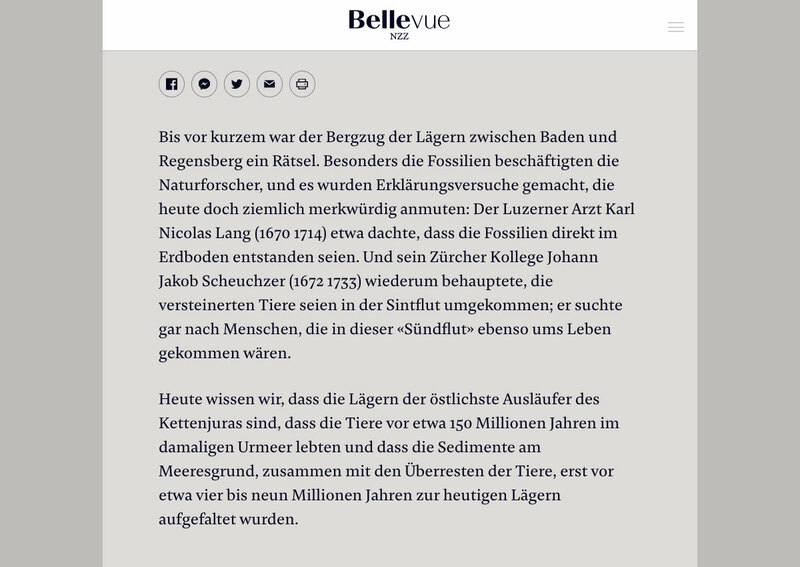 Damien Text is used by online magazine NZZ Bellevue, the lifestyle magazine for Switzerland. In 2016 Edenspiekermann designed a new platform for NZZ (Neue Zürcher Zeitung), bringing together three print-only publications (Z, NZZ am Sonntag, and Stil) to become Switzerland’s premier lifestyle guide, NZZ Bellevue, offering inspirational and informative content across fashion, food, design and more. Art Direction: Peter Rudolph and team.